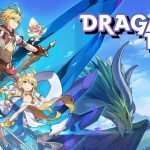 Dragalia Lost is an action RPG developed and published by Nintendo with Cygames help. Game released for mobile platforms: iOS and Android. This is swipe controlled game about bonds between humans and dragons. Use powerful attacks, conquer your enemies and transform yourself in to a dragon!